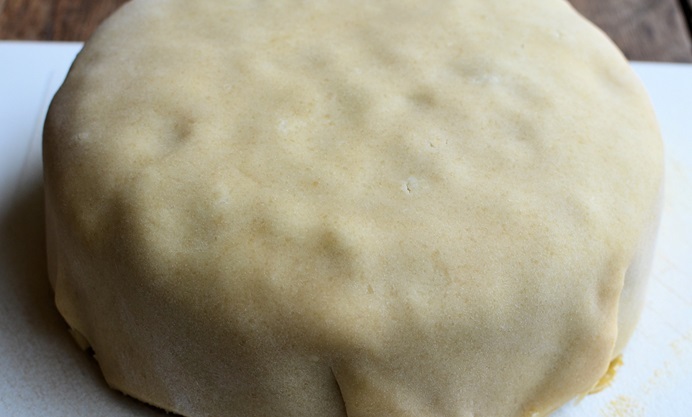 Karen Burns-Booth finishes off her easy Christmas cake recipe with a simple marzipan and icing topping. 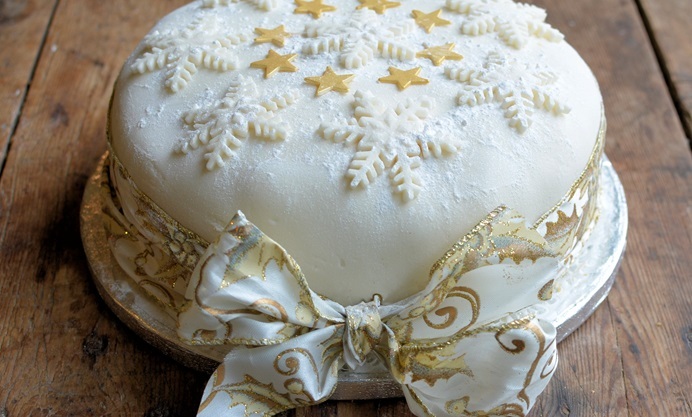 Her Christmas cake decorating tips are easy to follow for a classic Christmas cake with a snowflake design. With Christmas just a few days away, now is the time to decorate the cake; as you will remember, I made my Christmas cake a few weeks ago. 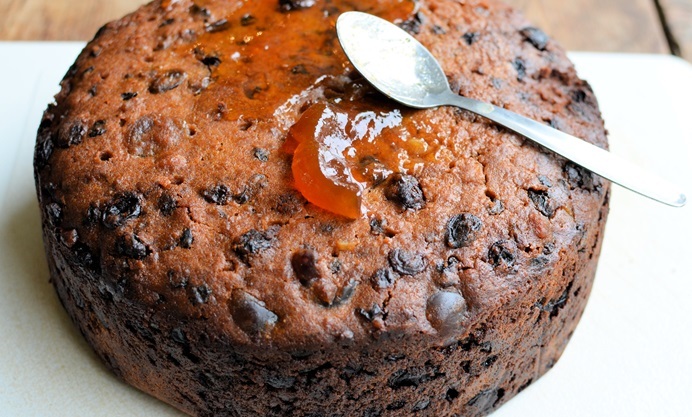 The cake has been 'fed' weekly with brandy and smells rich, fruity and just like Christmas! 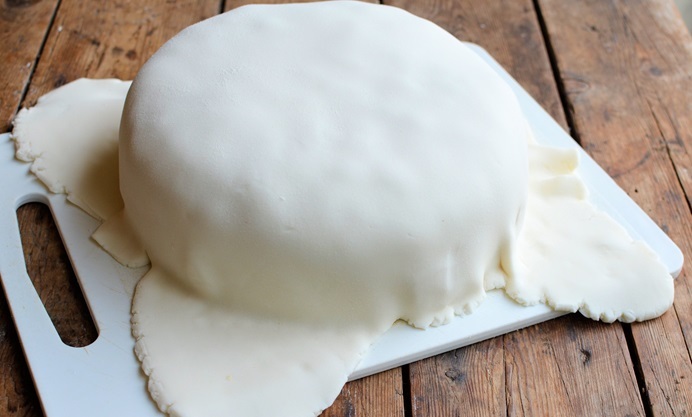 I toyed with how to decorate my cake this year – I DO love the classic way of decorating a cake with royal icing and little plaster-of-Paris figurines, but I also love the effect you can achieve with a smooth fondant icing too. 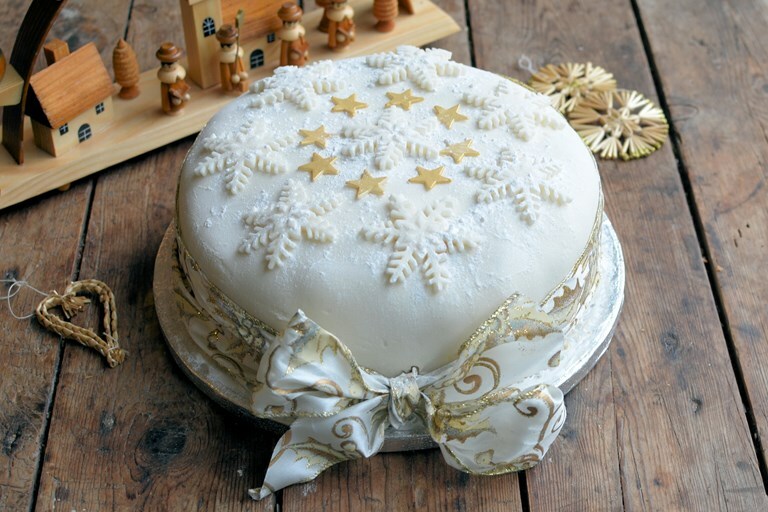 So, based on some snowflake cutters I have in my box of decorating toys I decided on a simple but rather impressive snowflake and star cake, and as you can see from the photos, it’s fairly easy to decorate and looks stunning, with its big bow and glittery snowflakes and golden stars. The step-by-step method, with photos, is shared below and this cake can be decorated on Christmas Eve morning, as unlike royal icing, the icing here doesn’t need to harden. 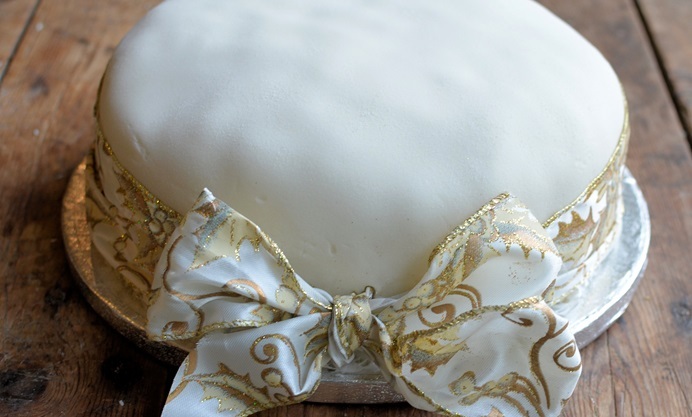 For this recipe you will need a 25cm cake board, 500cm of ribbon and a snowflake cutter.